There are various types of housing that you can buy in Canada. 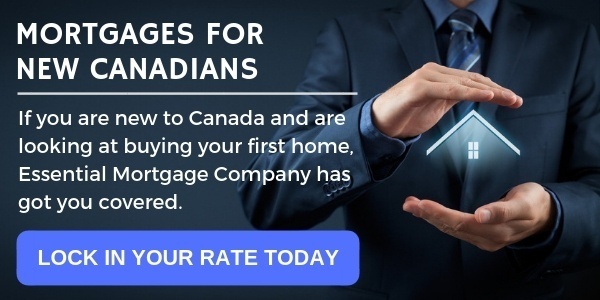 In each case, you are responsible for making the mortgage payments as well as paying the bills for your specific unit(for example, property taxes and utilities such as electricity, gas, water, etc). Bylaws are local municipal rules and regulations that vary across Canada. You are responsible for following these bylaws in the care and maintenance of your property. Below is a list of several types of housing. Register now for our Renting In Canada Webinar to learn more about renting your first home in Canada. Condominiums are a form of ownership that can apply to almost all types of housing. While condominiums are generally found in apartment buildings, other types of properties, for example, townhouses, may also have a condo ownership model. You own the unit, or “condo”, but you do not own the land it is built on or any common space outside your unit. You are charged monthly “condo fees” to maintain indoor and outdoor common areas shared by the condo owners, including parking areas, elevators, carpets, front entrances, and any recreation facilities. These monthly fees can vary widely and are in addition to your mortgage payments. Each condominium property has rules the owners of each unit must follow. Condo owners form a “condo corporation,” or members association, and elect members to their Board. This condo corporation’s committee members or Board meet to decide on issues related to the building and its unit owners, for example, whether or not the units can be rented out to non-members and if pets are welcome. This is a house that stands on its own. It is often referred to as a ‘detached’ home and tends to be the most expensive type of home to purchase due to the land costs. You own both the house and the land it is on. When your house needs repair or maintenance, you must pay for it yourself. House owners must also pay the monthly bills for water and heat, as well as their other bills (like telephone and cable television). Owners are free to make changes to their house, inside and out, but they must obey local bylaws and apply for renovation and building permits when necessary. Single houses appeal to a wide array of people, including families with children and generally provide more space and privacy than other unit types. A townhouse is a unit in a row of other units that look like houses, attached to each other. In each unit, you share a wall on either side with the people who live beside you. Often, especially in cities, there may also be a smaller unit above each townhouse, so there could also be someone living above you or below you. Townhouses (sometimes called row houses) are usually 2 or 3 levels tall (each level is called a ‘storey’). This is a home joined to another on one side. Owners are only responsible for the care and maintenance of their own side, just like a detached house. 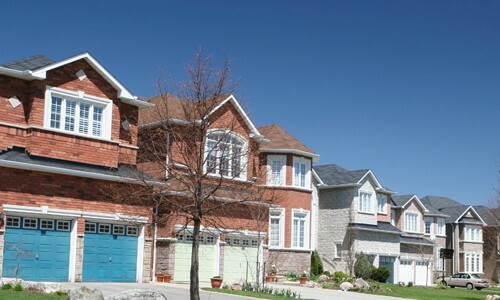 Owners of semi-detached homes own their side of the property, including the land it is on, and are responsible for its care and maintenance, according to local bylaws. Semi-detached houses appeal to people who want to own their own house as well as the land it is on. Semi-detached houses are usually less expensive than fully detached houses, although, like all real estate, this depends on the area. A duplex/triplex is a building that is divided into multiple units. Like semi-detached houses, each household has its separate entrance and is responsible for the care of its own unit. Typically, you would buy the entire property and rent a unit to help offset your mortgage payments. Types of homes that are ‘duplexed’ or divided into two or more separate living units may be detached homes, semi-detached or even row houses. Myette and the Essential Mortgage Company team work with over 40 different lenders to secure the best rates and products for residential and commercial financing. EMC has partnered with developers to complete commercial projects and has relationships with mortgage insurers, credit repair programs, and other industry related products. Essential Mortgage Company has funded over 3600 transactions in the last seven years and boasted over $90,000,000 in funded volume over twelve months. Myette looks forward to helping you meet your mortgage and financial goals and working for you, not the banks. Myette’s experience… your best interest!